A qualified Chartered Accountant and armed with a Master’s Degree in Commerce from Pune University, Milind has a vast experience spanning over 3 decades. 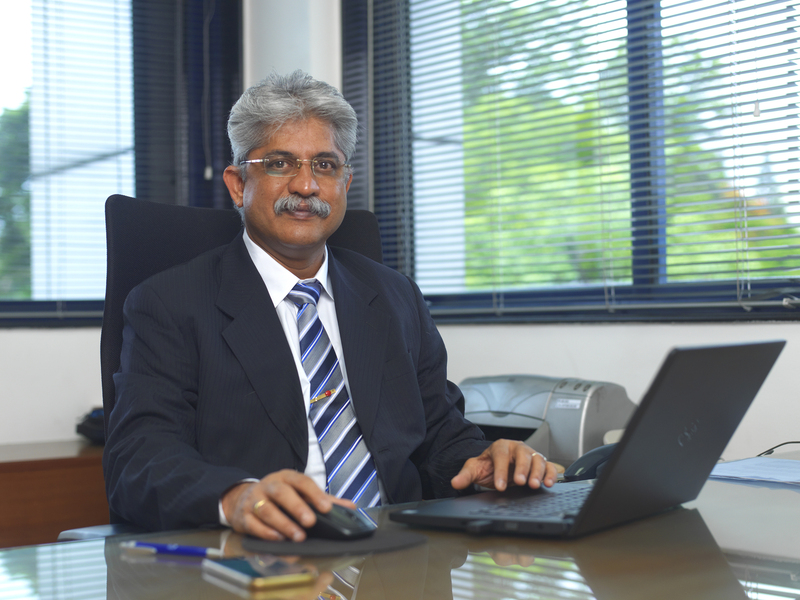 Mr. Milind Khadilkar, Director (Finance) at KSB Pumps Ltd.
53 year old Milind’s career graph has always been on the rise since his first assignment with AF Fergusson in 1987. Ever since then his experience and success with organizations such as Tata Motors, Fujitsu ICIM, UB Engineering; Apollo Tires; Virgo Engineers; Godrej GE Appliances; Rohan Builders; UMW Dongshin Motech Pvt. Ltd.; and also a 6 years international assignment with Ali & Abdul Karim Group of Companies, Muscat has got him to where he is, today! Prior to joining KSB, since April, 2012 he worked with Wilo Mather and Platt Pumps Pvt. Ltd. as Vice President - reporting to the Managing Director and leading a team of 40 members. During his over 30 long years of Industry experience, Milind has handled myriad functions including Finance and Accounts, Controlling and Budgeting, Audits, Legal & Secretarial Compliances, IT Systems, Corporate Restructuring, Fund Raising, ERP Implementation – SAP and ORION, Formulation of Group Administrative, Financial and Control Policies, HR Administration and Procedures including manuals of delegation of authority, and also support to procurement and sales development and growth. He has conducted Management and Audit Committee and Board of Directors and Shareholders Meetings. He has also overseen and completed all the formalities in respect of setting up of a Wholly Owned Subsidiary in USA; during one of his past assignments. His family comprises of his father, wife Manasi who is presently a housewife (worked for NIBM for 17 years in the past) and two daughters. Elder one - Anisha appeared for her C.A. finals and who is currently completing article-ship training with Price Waterhouse; while the younger daughter – Amiya - is studying in the 12th std. in Symbiosis. The vast experience and shrewd business acumen that Milind brings with him, is bound to, not only safeguard, but also consolidate and improve the existing strong position of KSB in India. Today, from its 6 plants in India, KSB manufactures and supplies Power Driven Centrifugal Pumps and Industrial Valves, reliably and safely, to address the needs of customers from the Water and Waste Water; Agriculture; Construction; General industries; Oil, Refineries and Petrochemicals; and Power Plants including Super Critical Power Plants and Nuclear Power plants, with great aplomb!